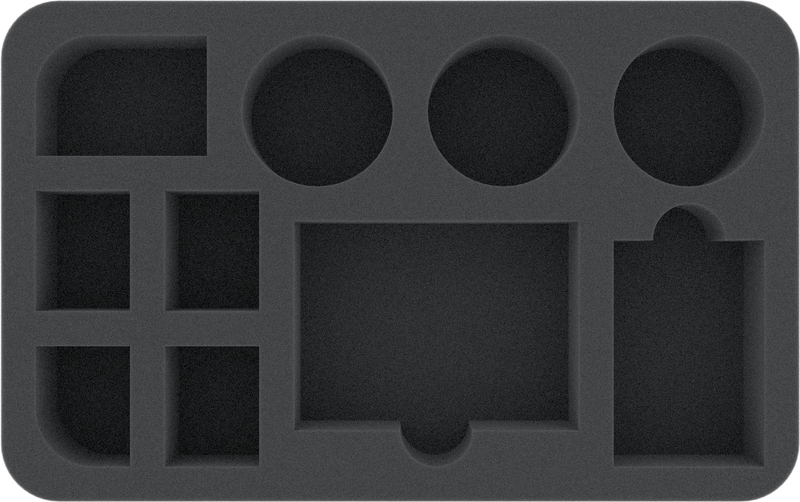 Do you want to stowe your miniatures compact and space-saving, separate from the accessories? Then here we have the suitable insert for the game material. 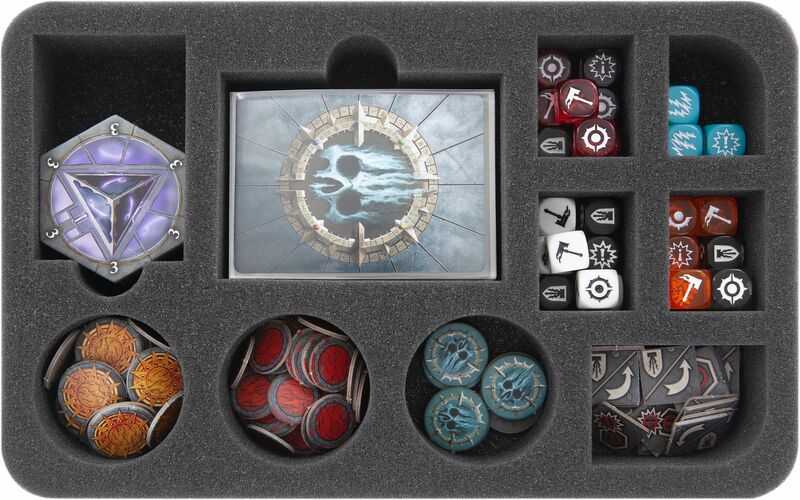 With this foam tray you can neatly store the dice, tokens, counters and cards of up to 4 warbands. You have 4 compartments for the dice, 1 compartment for (sleeved) cards and 5 compartments for the tokens and counters. Thus you always keep the overview and the chaos may only occur during combat. 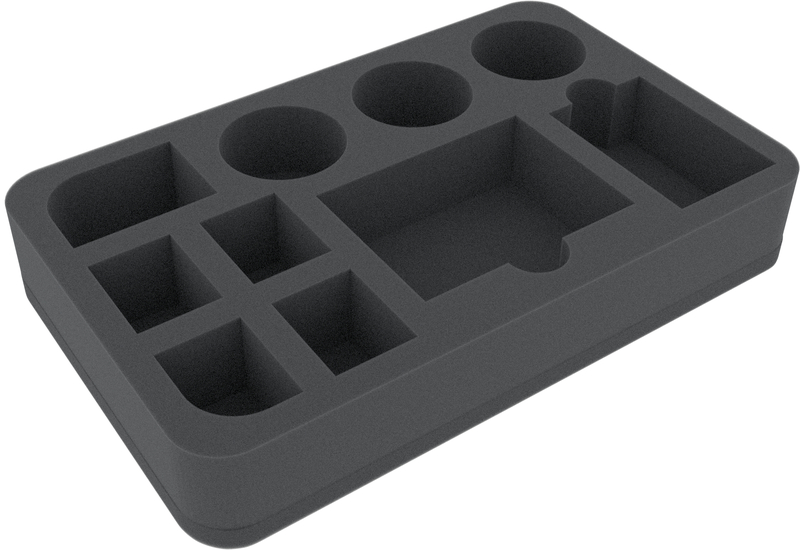 The foam tray has the dimensions: 275 mm x 175 mm x 45 mm total height (35 mm usable height + 10 mm foam base).